The biggest step toward effective money management is making a household budget. You first need to figure out exactly how much money comes in each month. Once you have that number, organize your budget in order of financial priorities: essential living expenses, contributions to retirement savings, repaying debt, and any entertainment or lifestyle costs. Having a clear picture of exactly how much is coming in and going out every month is key to reaching your financial goals. Simply put, your net worth is the total of your assets minus your debts and liabilities. You're left with a positive or negative number. If the number is positive, you're on the up and up. If the number is negative — which is especially common for young people just starting out — you'll need to keep chipping away at debt. Your credit history determines your creditworthiness, including the interest rates you pay on loans and credit cards. It can also affect your employment opportunities and living options. Every 12 months, you can check your credit report from each of the three major credit bureaus (Experian, TransUnion, and Equifax) for free at annualcreditreport.com. It may also be a good idea to request one report from one bureau every four months, so you can keep an eye on your credit throughout the year without paying for it. Regularly checking your credit report will help you stay on top of every account in your name and can alert you to fraudulent activity. Transferring a set amount of money to a savings account at the same time you pay your other monthly bills helps ensure that you're regularly and intentionally saving money for the future. Waiting to see if you have any money left over after paying for all your other discretionary lifestyle expenses can lead to uneven amounts or no savings at all. Your retirement savings and saving rate are the most important determinants of your overall financial success. Strive to save 15 percent of your income for most of your career for retirement, and that includes any employer match you may receive. If you're not saving that amount yet, plan ahead for ways you can reach that goal. For example, increase your saving rate every time you get a bonus or raise. Certain assets, like retirement accounts and insurance policies, have their own beneficiary designations and will be distributed based on who you have listed on those documents — not necessarily according to your estate planning documents. Review these every year and whenever you have a major life event, like a marriage. First, make sure that the banking institutions you use are FDIC insured. For credit unions, you'll want to confirm it's a National Credit Union Administration (NCUA) federally-covered institution. Federal deposit insurance protects up to $250,000 of your deposits for each type of bank account you have. To determine your account coverage at a single bank or various banks, visit FDIC.gov. Set up an online account at SSA.gov to confirm your work and income history and to get an idea of what types of benefits, if any, you're entitled to — including retirement and disability. 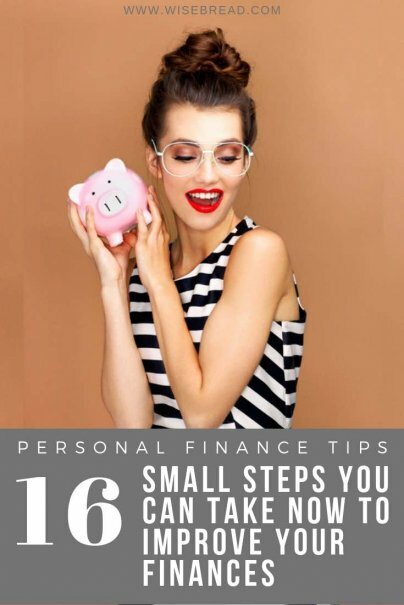 An important part of financial success is recognizing where you need to focus your energy in terms of certain financial goals, like having a fully funded emergency account, for example. If you're overwhelmed by trying to simultaneously work on reaching all of your goals, pick one that you can focus on and achieve it by the end of the year. Examples include paying off a credit card, contributing to an IRA, or saving $500. Personal finance expert and candidate for CFP certification.